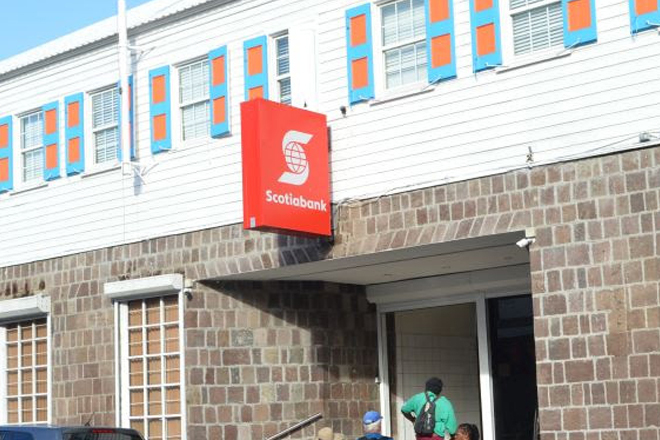 The Eastern Caribbean Central Bank has begun its review of Republic Financial Holdings to acquire Scotiabank’s operations in the region. According to a media release on the weekend the ECCB received an application from Republic Financial Holdings seeking regulatory approval to acquire the Bank of Nova Scotia’s operations and businesses in the Eastern Caribbean Currency Union . The ECCB has held initial discussions with the Central Bank of Trinidad and Tobago and the Bank of Guyana to collaborate on the review of this application. The ECCB will also confer with the Central Bank of St. Maarten and Curacao. The ECCB statement said there is some speculation that republic’s acquisition of Scotiabank’s operations in the ECCU could lead to the depletion of the foreign reserves that back the EC dollar but such speculation is “unfounded and unhelpful”. The ECCB said is clear and resolute about its mandate to protect the EC dollar and wishes to make it abundantly clear that it will continue to maintain very high levels of foreign reserves as it has done for the past 35 years. The statement also noted that from time to time, there will be changes in ownership of banks and citizens and residents in the ECCU should come to expect these developments as part of the banks’ response to both global developments and competition in the ECCU banking space.